Let me start off by saying I am a HUGE sweets fan. So when there’s no dessert in the house, or something yummy to get my fix on, I start rounding up ingredients and trying to make do with what I can. 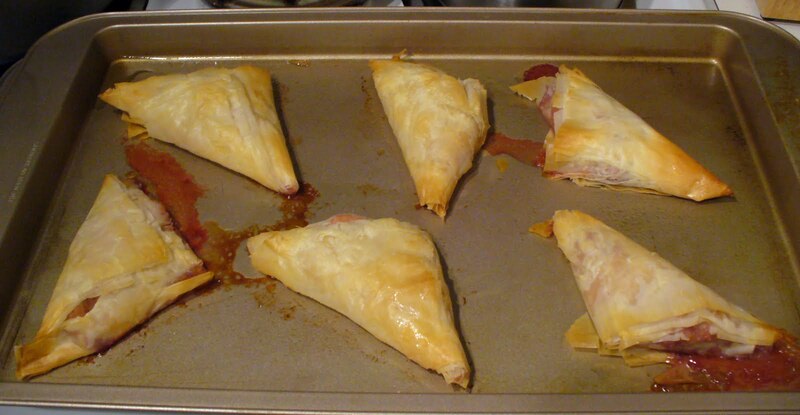 These Rum Soaked Strawberry Turnovers were literally just something that I made up as I went along, and were SO delicious, and ridiculously easy. I only used what I had on hand. A good half a cup of rum, give or take a little. I used strawberry flavored rum for extra taste. 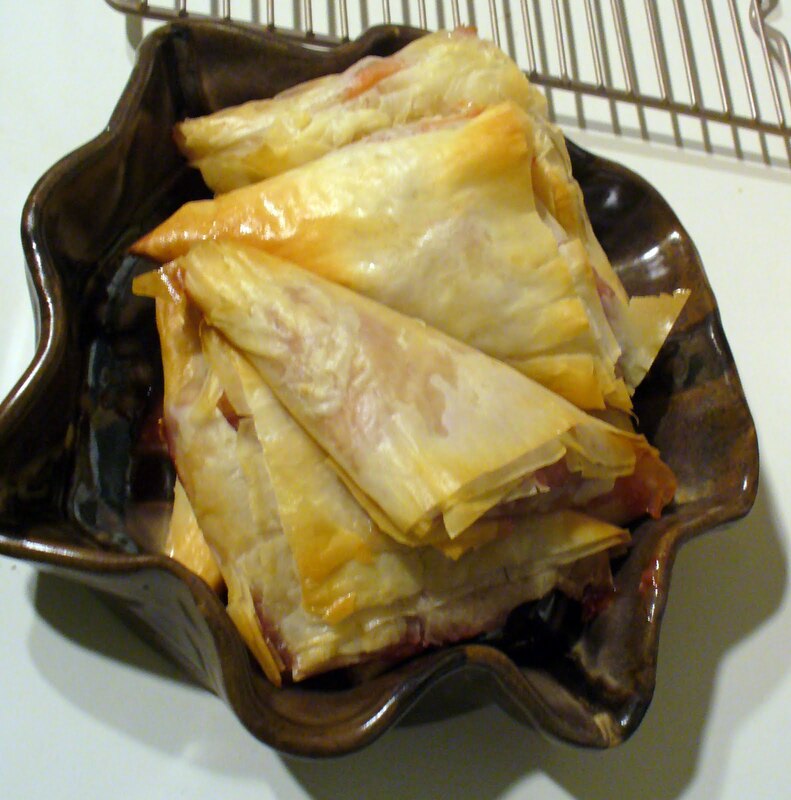 Take the phyllo out of the freezer to defrost. Wash and prepare your strawberry slices, combining the sugar and rum. Place in sealed container and let sit until dough is ready to use. As far as the dough goes, I cut mine so I had long narrow pieces and used the flag folding method to wrap mine up nicely, however there are various options to choose from as far as how you want to fold your triangles….or squares or whatever shape you want! Don’t forget to butter or oil between each layer lightly. Make sure to get a good amount of fruit AND syrup in each. If you eat them warm, it will nice and gooey, but if you eat them cold (which is awesome too) it will firm up and fill out well. Spray a cookie sheet and lay them on. Cook in a preheated oven, roughly 375 degrees (F) for about 15 to 20 minutes until browned to your liking! Let sit for a few moments to cool and enjoy! If you try this I’d love to hear how it turns out!